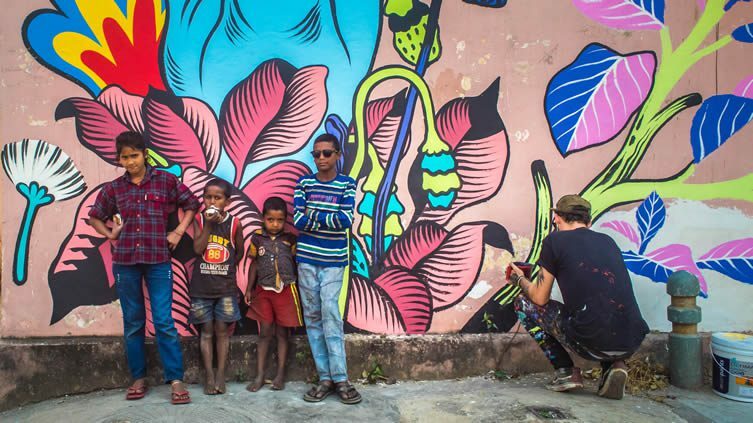 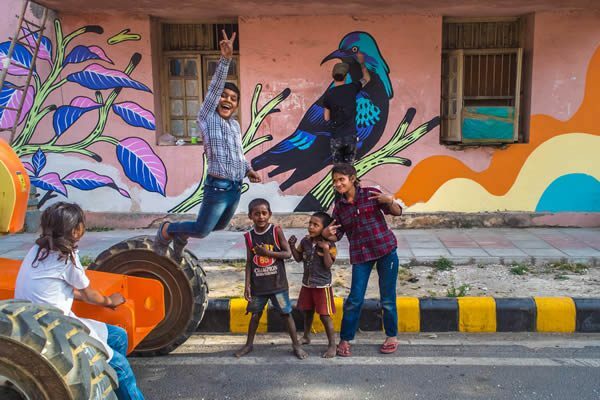 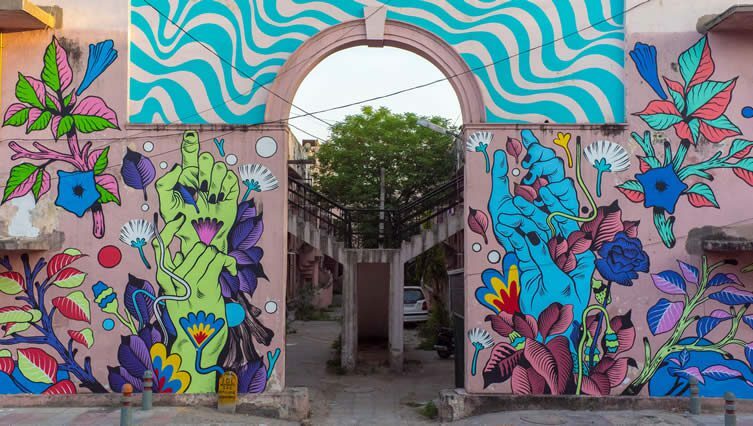 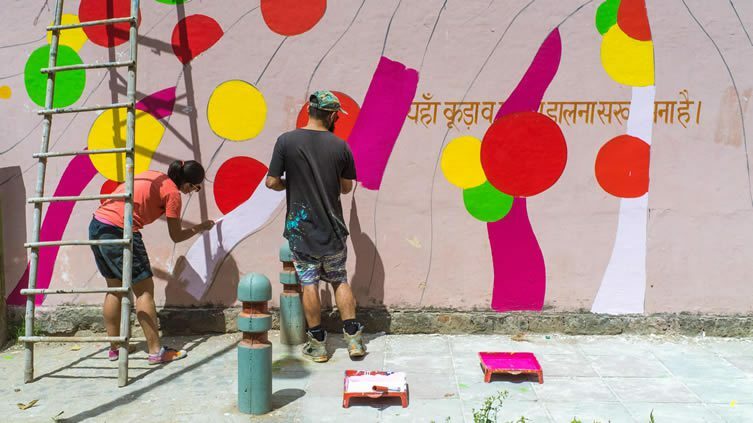 Not-for-profit organisation St+art India created their first open air public art district in India during December 2014, uniting local and international artists who together brought the empty walls and winding streets of the city and suburbs alive with murals, installations, and colour. 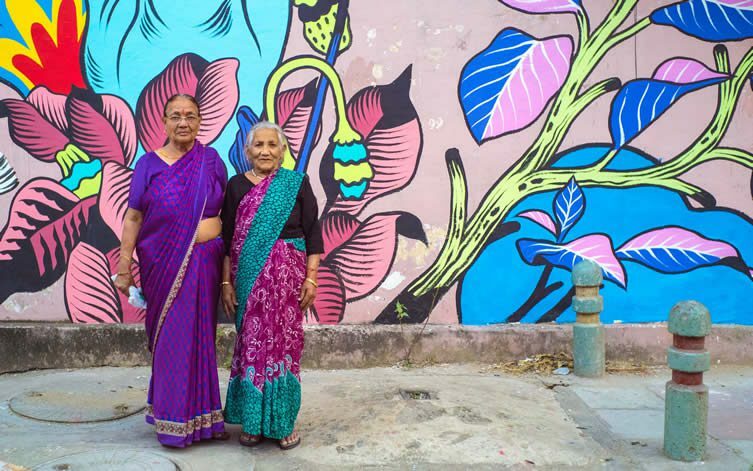 Since then, 184 walls have been used as canvases by 150 artists across four cities, making public spaces more interactive—whilst reinvigorating older, neglected neighbourhoods. 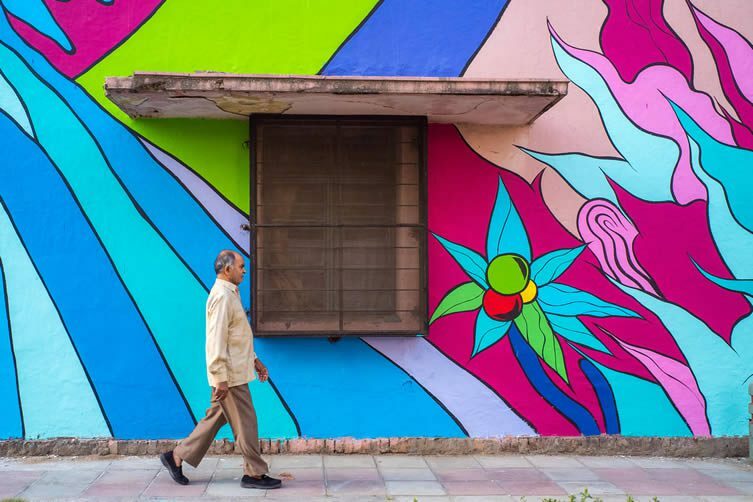 Showcasing work often viewed in a gallery setting, the foundation has made art more accessible and available to a wider audience; whilst creating eye-catching landmarks which they hope will, in time, become local icons in their own right. 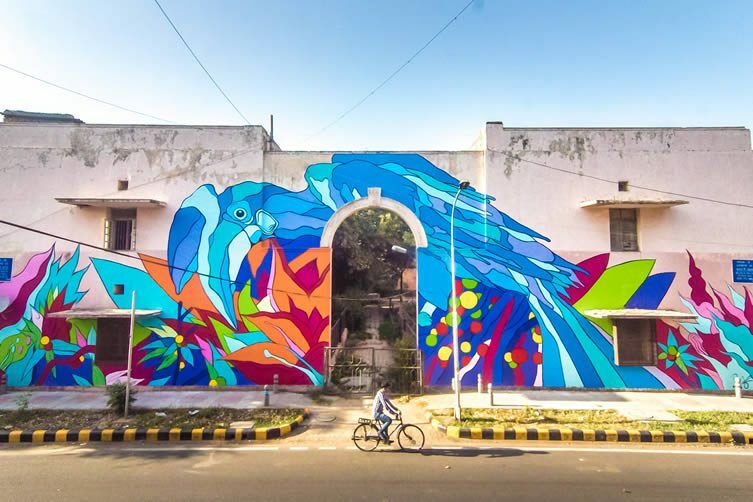 The organisation’s most recent project saw Brazilian design and illustration collective Bicicleta Sem Freio (Bicycle Without Brakes) work simultaneously and individually on two facing walls in Lodhi Colony, creating a composition inspired by the local Indian flora and fauna—interpreted through the eyes of two Brazilians. 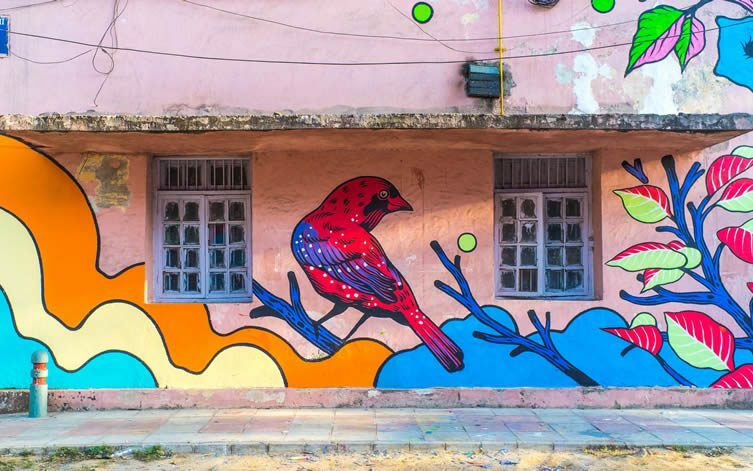 The Brazilian embassy partnered with St+art India Foundation in the hope of fostering a deeper dialogue between people who live in the two different parts of the world but share a similar sensibility of energy, freedom, vibrancy and colour. 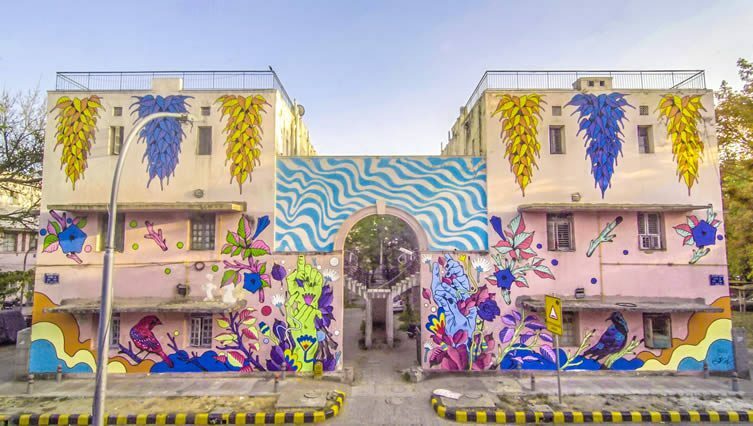 Three years in, and St+art India’s vision to ‘create awareness and encourage appreciation towards diverse art forms among the masses’ seems ever more attainable.